Many people assume that maintaining your car is expensive, spending money of servicing garages and repairs through-out the year, however, that isn’t the case as there are actually a number of DIY car repairs that you can complete at home. If you class yourself as a bit of a car lover and fancy getting your hands dirty, then you’re going to love this. We’ve created a list of DIY repairs and maintenance tasks that you can do at home on the driveway or in the garage. Why Complete a DIY Car Repair? The obvious answer here is to save money. By learning how to complete basic vehicle maintenance tasks and repairs, you could save yourself a considerable amount of money and boost your knowledge in the process. A good way to figure out why you may want to do a repair yourself is to use an example from a different industry. For example; If you’re moving home, you may want to pack and move your items yourself instead of using a man and van London as there would be an additional cost involved. Replacing the air filter in your car isn’t a hard task. If you have a BMW, then our BMW servicing garage in Milton Keynes recommends that you replace the filter every 12 months or when you complete 11,000/12,000 miles (whichever comes first really). You’ll be forgiven for thinking that this DIY car repair could take a long time to complete. In actual fact, you can replace the filter in approximately 10 minutes (20 minutes if you’re inexperienced). First things first, you’ll need to open the cars bonnet and identify the air filter. It’s usually in a black rectangular box. If you cant see it, take a look in your vehicle handbook for help. When you find the filter, analyse how the filter is fitted. We advise that you take a picture of how it is fitted so you know exactly how to put it back when complete. When you’re ready, simply remove the old filter and replace it with the new one exactly as the old one fitted. Make sure you add the fixing clips back in the correct position to secure it. You’ll be surprised how often we get bookings to assist with replacing damaged or incorrectly fitted windshield wiper blades when in actual fact you can probably get things completed quicker by doing it yourself. Of course, if you go to a mechanic or garage, your appointment for fitting wiper blades is probably not going to be seen as a priority. If someone comes in with an engine fault, chances are, they’re going to be seen before you. Every set of blades are different so make sure you read through your handbook first and take a picture of how the blades fit to the wiping arm. Lift the blade up gently and hold down the tab underneath the blade to release it. Gently slide the blade off and wipe the arm with a damp cloth. Simply fit the new blades and make sure that they’re secure and test them to make sure everything works, as it should do. 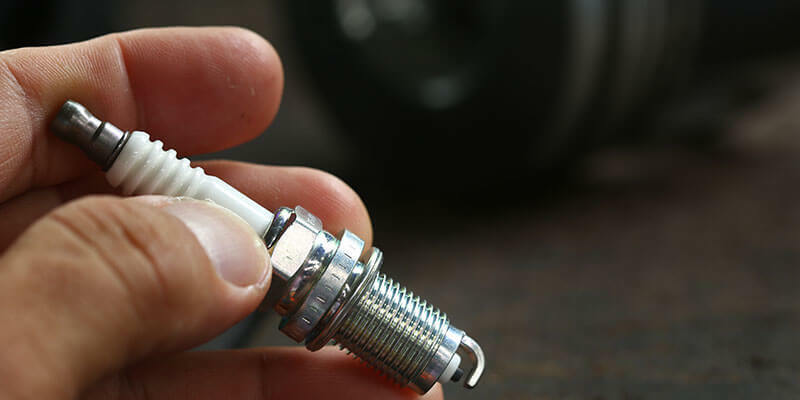 Spark plugs are part of the ignition process to help get your car started. If there is a fault or a damaged plug, your vehicle may misfire and have problems not only starting but accelerating too. Open up your bonnet and identify the plugs. They’re usually attached to thick rubber wires and may be located underneath any coil packs you have fitted. You vehicle will have four, six or eight spark plugs – this will vary from car to car and is based on the number of cylinders your car has. If you have never replaced the spark plugs before, then make sure that you allow a minimum of 30 minutes to get things correct as the new spark plugs will need to be installed in a specific order. Using a spark plug socket and ratchet extension, remove the first plug. Now you can begin to replace the old plug with the new. Install the spark plug firstly by screwing it into position by hand and then tighten it with a wrench. Remember to be cautious and don’t over tighten the plugs. Re-attach the wiring to the spark plug and move onto the next one. Make sure that you replace each spark plug one at a time. General car maintenance can cost you a lot of money if you’re constantly going to and from your local garage. Hopefully, if you follow the steps that we have highlighted in this guide, you’ll find that you can save yourself some cash. 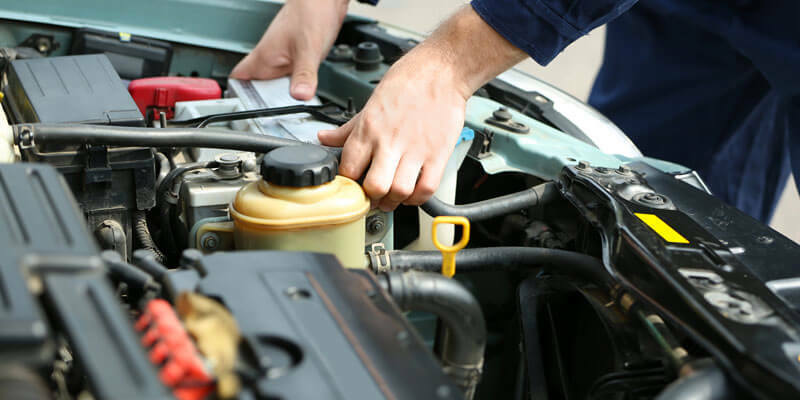 However, if you find that you’re struggling or you don’t feel confident enough working on the mechanics of your vehicle, contact our team that specialise in car servicing in Milton Keynes. We’ll be happy to advice you on parts and installation. If you’re going to have a go at replacing minor car parts such as wiper blades or spark plugs, try to find replacements that meet the manufacturer requirements. The best way is to buy like for like replacements of what is already fitted to your vehicle.